Do you ever crave changing your life, but you’re not sure how to do it? 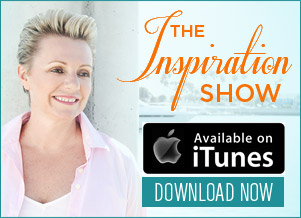 If you’re ready to find the clarity to pivot into the life you’ve always dreamed of, then this insightful episode of The Inspiration Show with my guest, Adam Markel, author of “Pivot”, is for you. During the show, Adam shares ways you can become aware of the bad thinking habits that may be holding you back so you can swap them out for new daily success rituals. If you’re ready for positive change in your life, then watch this episode now! NL: Hi everyone. My name is Natalie Ledwell and this is The Inspiration Show. Today on the show, I have a really good friend of mine. He is the author of the book “Pivot and the Movement of Pivot” which we’re going to be diving deeper into in just a moment. But before I introduce my special guest, I just want to remind you that when the show is over, don’t forget to click the link below this video to download the free ebook version of my bestselling book, “Never In Your Wildest Dreams”. So let me please introduce my special guest, Adam Markel. How are you Adam? AM: Lovely to be here today Natalie. Thanks for having me. NL: Yeah. It’s always a pleasure having you and chatting with you. We’re a member of both the Transformational Leader Council and the Association of Transformational Leaders together. You do incredible amazing work in the world and I know that this topic of Pivot is exceptionally relevant to our audience and our community because I think that many of us especially in the time of our life that we’re at, are going through some kind of transition or some kind of change. You know, whether that’s through career or children leaving or divorce or whatever that is. And I know that what you teach and what you practice is really instrumental in helping people through that transition. But before we get in to that topic, why don’t we start a little bit with your background and how you got in to doing this kind of work. AM: Oh my goodness, going to go back that far. I’ve been asked that question. It’s a great question to start with, you know, how’d you get to where you are and all that kind of thing. I’ll say it was, it was pain. I transitioned out of practicing law, having done that work for 18 years and waking up in the morning and feeling very much on guard, very much, even the feeling of dread about the day. I wasn’t excited about it and I was in a great deal of pain and I had to make a change at that time. I didn’t know any other way out. And I think that’s very (inaudible). Designing the changes on some level, ahead of the curve if you will, or we’re waiting for things to change. Some other way. Like you said whether it’s an illness or a divorce or business that goes bad. I was sort of in between those two places. I wanted to change but didn’t know what to do. I was in a great deal of pain and it eventually put me in the hospital. I lied on the gurney in the hospital thinking I was having a heart attack but it turned out to be an anxiety attack. I realized something was definitely off and I needed to do something about it so, two and a half years later, through a process that we get to talk about and teach around the world now called Pivot, we made some changes. NL: Yeah. So tell me what’s your definition of Pivot? What does that mean to you? AM: It’s a word that means change. You know, it means in different context I think of Pivot as evolution or innovation as well because it’s a very (inaudible) sometimes Pivot means a failure. Something that didn’t go according to plan like Youtube for example was a video dating site. Most people I mention it to don’t know that so they, the video part worked but the dating aspect of it didn’t work. And think of Youtube today, I mean it’s a prolific company. Had they continued to just try to force that thing through, make it right somehow not, pivot if you will, not make a change, they might not be around today. That’s very true in a lot of businesses. You got to innovate or die. Don’t innovate you die. NL: Absolutely. 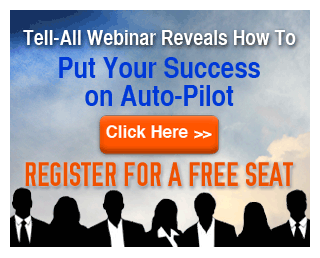 So what are the components of a successful pivot? AM: Well, first and foremost, it’s clarity. You’ve got to be clear in where we’re at. I love the analogy of in a car, driving and the windshield is dirty. I grew up on the East Coast and sometimes the windshield washer fluid, if you hadn’t filled it up or if you had a big storm (inaudible) you could see very clearly. That’s indicative of how we feel at times in our lives whether it’s in our relationships or health or business. If we can’t really see very clearly ahead, we tend to slow down and even sort of stop on the side of the road, waiting for something to happen, to create that clarity. So the first part of the Pivot process is creating clarity. The second part is how it is you use that clarity, to take some new actions. So part one, the book is structured in three parts, but part one is very much about beliefs because so much of what gets in the way of our clarity are the things that we believe, even the things we don’t know we believe but we discover, you know the unconscious beliefs. And the second part is how we take action and that’s very much our behaviors so what is it that we do on a daily basis. Including the rituals, the things we do habitually. NL: Right. 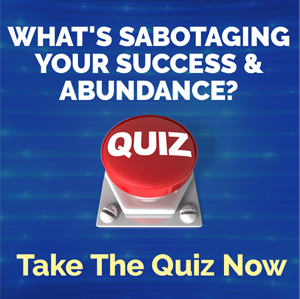 So what do you find is the common theme when it comes to the limiting beliefs or those sabotaging thoughts that hold us back from, you know, living the life that we truly deserve? AM: Well, fear is really high at the top of the list. People are, and fear is an insidious thing so it shows up in very subtle ways. Like for me, I’ll say, I crave certainty and I’m addicted sometimes to knowing what’s going to happen. And I think a lot of people are that way as well that when we’re in the unknown zone, don’t know what’s going to happen next, can’t see around the next bend, it brings up a great deal of insecurity and fury. That’s where the work for many of us is. To be okay. Not just to be okay or tolerate the unknown but to actually embrace the unknown. And that’s a different mind set entirely because then you see change not as an enemy but as your friend. In fact, it could be your bestfriend and often times change is your bestfriend. You just don’t know it until two years later or five years later and look back oh my (inaudible) business that didn’t go well, and at that time, you know, we’re white knuckling the experience of things being unknown, changing and not knowing how it’s all going to work out and in the end we look back and go “that was the greatest thing that ever happened to me because I grew”. In many ways, we have to grow or we, grow we die, it’s the way it is with nature. NL: Yeah. And I think that change is one of those things that we can always rely on. I mean things are always going to change whether it is the economy or the political environment or you know, where we live or our business. Like you know, our business is predominantly online. You know, those rules of engagement are changing all the time. And we can either be stuck in one way of doing things or we can be really open to go with the flow. So looking at that is really important. So you mentioned rituals before, so I am assuming that there’s some common rituals that we sort of fall into bad habits, and then other rituals are ones that are going to help us, you know, really succeed. So can you share some, you know, both the bad ones and good ones that you find a lot of people fall in to? AM: Sure. I’ll try not to spend too much time on the bad habits, I mean they’re mostly this stuff that exist between our ears or the thoughts that we have. Those are really bad habits. Habitual, negative thinking or thinking about things that don’t necessarily serve us in the moment and I really think that on some level we chunk things down to the smallest possible point of our tension. It’s something that we can all grasp. So for me, an example of that would be, my only responsibility would be to get this moment right. I have no idea what the next moment’s going to bring. I certainly can’t control anything that happened last year but if I can get this moment right, if that’s my only responsibility, can I get this moment right? So in this moment, can I be as open-hearted as I’m capable of (inaudible) coming up or any sort of anger or resentment or anything else that might just show up. Can I do something, shift my thoughts in the moment, to be how I wanted to experience myself be which would be loving and open and kind and all that kind of thing. So it’s be aware, I think, of the habits that we got, the rituals for thinking that don’t serve us. That’s the first piece. And the second thing I think that’s really fundamentally important in the work that we are doing now with our clients and many of them are business clients, is on how it is that we create more self care. So as opposed to, in corporations, a lot of them, the cultures are built on exhaustion. On running people to the point of exhaustion. It’s almost no break in our day, that’s almost no turning off our business life because the phone etcetera, and so because of that, self care is that much more important. We’re exhausted a lot of the time, we’re burned out (inaudible) I was working 70, 80 hours a week. It’s not even so much about the time that you spend working because I still work a lot and I know that you do as well. It’s the time that we spend in recovery. It’s the rituals that we create from recovery is the key. And when you get a properly aligned recovery ritual with a work ritual, you got, you know, something people might call balance or harmony and I just look at it like I feel great, my energy is the way I want my energy to be and I get stuff done. And you know, I think that’s the simplistic as it is, it’s also really profound because so many people don’t take care of themselves well. NL: So how do you recover? What do you do for self care? AM: Thank you. I swim. I walk. I sit in stillness. I’m a crappy meditator so I’m not a meditator per se but to quiet my mind, read something spiritual that has me sitting in a heart space for a bit. I love (inaudible) so to be in conferences or we do a bunch of corporate training as well. So to be in front of a group of people who are working themselves to death and we get to say something that might help them or help the company create a culture for resilience. That helps us thrive. I feel great about it. So to me, doing work that fulfills you is a part of the recipe for your own recovery. NL: Yeah. So it sounds like people need to do, few different things, habits, thoughts, ways of being that we need to implement. How do we plan for that? Like, how do you put in a plan that’s going to set you up for success? AM: To me, again, chunk it down to the smallest steps. One baby step, the first domino that you have to tip. And to me that’s how you start the day. So just got back from Lake Tahoe, we did a TedX talk where the premise of the talk (inaudible) no matter what. And a bunch of stories and personal experiences that led me to have this moment of truth for myself, I guess a dark night of the soul, where I really questioned my self worth and what I was doing in my life. And I think a lot of people do that, from time to time if not everyday, just question their worthiness. And my answer, the answer that came back to me was I love myself and I love my life no matter what. So I got up the next morning and I declared out loud I love my life. And ever since then, I’ve had this ritual, I’ve shared this with people all over the world which has been lovely, that there’s just three things that I do to start my day and a lot of people now have adopted these rituals, more conscious practice. Habits are sort of things that we do unconsciously like breathing and brushing our teeth, etcetera. So this is just a more conscious way to see it but the first part is that I wake up. So everybody that’s watching or listening to this right now, if you are willing to do that one thing tomorrow, we’re already ahead of the game. Right Natalie? AM: (inaudible) and that was not a guarantee. We’re not guaranteed tomorrow either. So at the moment when you realize Hey I am actually waking up, physically waking up, taking a breath, there’s an opportunity there to recognize the truth. And the truth is it is we’re taking that first breath, there are people around this world who are taking their very last breath. So for me, that’s a reminder that I can be grateful. Grateful for the breath, grateful for the opportunity of another day, for the assignment, whatever assignment I might have for that day. I sit in that gratitude for a moment. So I wake up, I feel that gratitude, then and then I say those words “I love my life”. four simple words. And it is simplistic. It is a simple practice but it’s also, for me, it’s been transformational because it is really about retraining ourselves to hear for ourselves and love ourselves. That little domino sets off a chain reaction of things that are pretty (inaudible). NL: Yeah. Well that’s going to be something that I’m going to start implementing as soon as tomorrow. As soon as I wake up. NL: So Adam, I want to thank you for joining me today. It’s been a great subject and I know that we have only scratch the surface. So if people want to connect with you or find out more about Pivot and the project, how can they connect with you? AM: Oh, thank you. 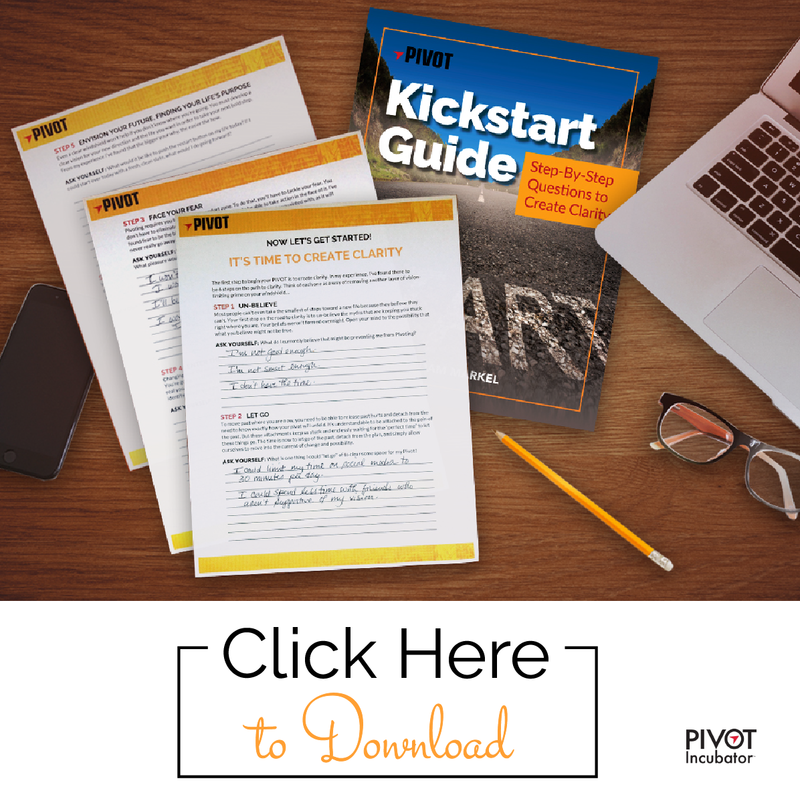 Well, we have a beautiful kick start guide that we offer to people as a gift and they can go to startmypivot.com, startmypivot.com to get this kick start guide which is six questions to see where you are in the process of change. I mean, we know that’s the one constant. It’s not like you’re not, you’re ever going to be free of change. It’s just a question of where are you. Are you sort of on the side of designing a change in your life? Or is something happening underneath your feet that you are not quite aware of but you can feel it. We always get a sense of that. So those six questions are really profound and it’s, you know, we’re not selling anything, it’s a gift and (inaudible) available on amazon or they can, you know, check us out on the web at adammarkel.com. But we love the fact that there’s so many people who are taking a very conscious approach to transition. They realize they want to have more purpose and more of everything that money can’t buy in their lives. I mean, the kind of things that people want, the purpose and happiness and fulfillment are often the result of things that don’t have to do with how much money you earn and not approach to earning a great deal of money but I think it’s nice when people are designing their lives. First and foremost to feel that way and experience that in their lives without first chasing after the all might dollars. NL: I agree. Well thanks again Adam. I really appreciate your time today. AM: Thank you Natalie. It’s a pleasure. NL: Now guys, I encourage you, let’s please get the word out. Let’s share this message and you can do that by clicking the Facebook and the Twitter share buttons on this page. Now you can click either the banner to the side or the link underneath this video to go directly to Adam’s website so you can find out more about the Pivot Project. And after all of that is over, don’t forget to click the link below that so that you can download the free ebook version of my bestselling book, Never In Your Wildest Dreams. So until next time remember to live large, choose courageously, and love without limits. See you soon.